Closed this weekend, Gone Skiing! enter subject into "SEARCH THIS BLOG " field, top of this page. It's a beautiful crisp clear morning up here at Timberline! We've got a wonderful 7" of new snow out there. Don't be the one who misses out, come on up to the mountain! We will be open today from 9am to 10pm. Palmer Cat Skiing is available SATURDAY and SUNDAY (weather permitting) and is complimentary with your purchased ticket. The 7th Annual Timberline Classic Series open to all ages and ability levels, snowboarders and skiers. Timberline joins forces with USASA to offer athletes the opportunity to compete on the USASA level. Non-USASA members are more then welcome to competefor 20 dollars extra. Helmets are required. The event is limited to 100 riders, for details call 503-622-0754. March 3rd, 4th & 5th OISA STATE CHAMPIONSHIPS For the second year in a row Timberline will host the OISA State Championship. Oregon's top high school snowboarders will compete for bragging rights in Slopestyle, Halfpipe and Boardercross. Come watch the best high school snowbarders battle it out on our slopes. Nordic Walking Treff St. Moritz - jeden Freitag! 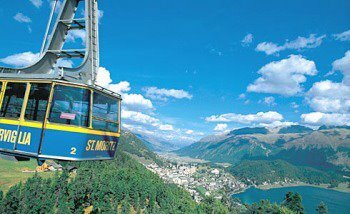 What makes St.Moritz so fascinating? The Alpen diva’s attractiveness is undiminished. Last summer, over 20 cranes in the village were proof of an incredible constuction boom. Everyone wants to get the last apartment – preferably with Norman’s signature and a view of the lake. Freeride inferno again before a difficult decision - to change of date to 08 April 2006! Differently than on the secured and prepared runways, which particularly warm up and with less frosty conditions to winter friends the hearts, the hidden gutters and slopes, which should form the heart of the distance, are pulled by the mild temperatures in. Good conditions off the secured runway area attract daily Backcountry drivers and individualists, extreme running A là "Frejn's Freeride inferno" required however not only the participants an optimal condition off... With the common view of the appointment calendar - Ischgl waits this year among other things still with would skirt-ferment Pink up - one decided on a premature Osternestsuchen behind shrubs and tree on 08 April. To hope it remains then only that the springful snow masses swallow neither nest nor Boarder! Until late spring, the glacier skiing region atop the Zugspitze attracts alpine-skiers, snowboarders, carvers, and freestylers, who also appreciate the traditional and safe descents on artificial snow. Beyond the well-maintained ski slopes, however, the Zugspitze region is a veritable El Dorado for deep-snow enthusiasts. As in the past, the skiing season kicks off with the Viva Winter Fun-Festival in November 2004, a weekend filled with fun and action. Just in time for this year's season opening will be the inaugural run of the new 6-chair ski-lift "Sonnenkar" which is expected to be lifting skier’s comfort levels to new heights as well! The Sapient-Showcase Showdown is set to go off February 24-25, 2006 with a new format dubbed "Pipestyle." The Pipestyle will incorporate tombstones, rails, boxes and spines into Whistler Blackcomb's Super Night Pipe, creating a whole new style of halfpipe competition. Here's a brief overview: Greatest vertical/usable terrain for skiing/riding and other winter sports in North America. Long ski season with spring skiing and riding until mid-June. On July 2nd, 2003, when the International Olympic Committee selected Vancouver as the host city of the 2010 Winter Olympic and Paralympic Games, an incredible honor and responsibility was also bestowed upon Whistler. Along with Vancouver, Whistler Blackcomb and the community of Whistler became an official Olympic venue. The resort of Whistler was in fact born on an Olympic dream. Franz Wilhelmsen, the man who opened Whistler for skiing in the 1960's, did so in the hopes of hosting the Games here. In the following years, some Whistlerites have been a part of the Games as athletes, spectators and organizers. Now, everyone in Whistler will have the unique chance to participate in this once in a lifetime opportunity. 2008 to 2009-> "Test events" get underway in Whistler and Vancouver. 2009-> Tickets become available for the Games. 2009-> The Olympic flame relay from Olympia, Greece begins. 2010-> January 15: The Olympic Arts Festival begins. 2010-> February 12 to 28: The Olympic Winter Games. 2010-> March 12 to 21: The Paralympic Winter Games. FLETCHER WINS BRONZE IN PARALLEL GIANT SLALOM, GORGONE 22nd BARDONECCHIA, Italy (Feb. 23) - Three-time Olympian Rosey Fletcher (Girdwood, AK) earned her first career medal by winning the bronze in Thursday's parallel giant slalom. Michelle Gorgone (Sudbury, MA) finished 22nd as Swiss rider Daniela Meuli won the gold. PETERSON FINISHES SEVENTH IN AERIALS FINALS SAUZE d'OULX, Italy (Feb. 23) - Jeret Peterson (Boise, ID) placed seventh in Thursday night's Olympic aerials finals in Sauze d'Oulx. China's Xiaopeng Han won gold. FRIDAY'S SLALOM CONCLUDES WOMEN'S ALPINE EVENTS SESTRIERE, Italy (Feb. 23) - Stacey Cook (Truckee, CA), Lindsey Kildow (Vail, CO), Julia Mancuso (Olympic Valley, CA) and Sarah Schleper (Vail, CO) will compete for the U.S. in Friday's giant slalom, the final women's alpine event of the 2006 Olympics. Western Deals Great fares from Los Angeles, San Francisco, San Diego, Seattle, Phoenix, Portland, Denver, Albuquerque, Sacramento, and more Western US cities. Killington received over a HALF FOOT of new snow Thursday! Weather: Snow throughout the day, winds 5-15 from the SW. Temperature: 24 ° to 6 ° (Fahrenheit) Wind: 5-15 from South West New Overnight Snow: 6" Snow Fall past 24hrs: 6" Snow Fall past 48hrs: 11" Base Snow Depth: 64-95"
Weather: Clear and cold! Winds: From the NW at about 6mph. The forecast for today is calling for a mix of sun and cloud with a slight chance of flurries this afternoon. All our major lifts are turning today, and the West Bowl T-bar will be open all weekend. All 3 mountains are 100% open, all 117 runs, and there’s still some fresh pow hiding out there, so come on out and find it! The cross-country network is open as well. Trails are scheduled to be groomed and track set later today. Our skating rink, Tube Time, and 14 km of snowshoe trails are all open daily so experience some great Canadian fun with the family. Today is all about the racing! The Telus, Nancy Greene Corporate Challenge is on today, as is the Friday race series. Something for everyone! If we powder alerted man-made snow, then you would have been hearing regularly while we powdered up the Black Cat, Starr Line, and Tomcat Schuss, among a bunch of other Wildcat Trails! But this week we've been getting some shots of the real thing --- light little clippers to freshen up the groomers. Well, yesterday we picked up about 3-4 inches, which was great & then it kept on snowing so we've awoken to another 4-5 inches! It all adds up to just over a foot of new snow this week, 7-9" over the last 24 hrs. There's some breeziness going on, so call ahead before you come up if you're looking for the Quad at 1-888-SKI WILD x217 (it's good to go at this time, but that can change!). Remember the Tomcat Triple dumps you out where all the best snow is anyway & still gives you over 1,500 feet of vertical! We're still fired up for a good long Spring, as we head into March --- typically a snowy month here at the Cat! So come on up & SKI! Even if you've done and bought a season pass at another mountain, that's okay . . . we're giving you guys $29 tickets on Fridays, starting March 3rd! Carvers, Freeriders, Snowboarders, Telemarkers... on the everlasting ice of the Stubai Glacier the winter really gets going again from the middle of October. The Stubai Glacier ski resort is well prepared for the new season and is planning a stack of cool events on the beloved slopes above 3000 metres. Not only numerous highlights await winter sports enthusiasts and snow fans, but also a varied weekly programme. For the international selection of ski resort of the year, run by the Skiresort Service International website, the Stubai Glacier, the only glacier resort selected, was voted into the top 10 best ski areas in the world. The Stubai Glacier managed to win over the international jury in the categories: size of the ski resort, variation of the slopes, slope grooming and friendliness of staff. As well as achieving 4th place in “Top Resorts 2004/2005 Worldwide”, the Stubai Glacier came 1st in the category, “glacier resort of the year” in the DSV (German Ski Association) reader’s choice awards in the 2003/2004 season and 2nd in the season 2004/05.